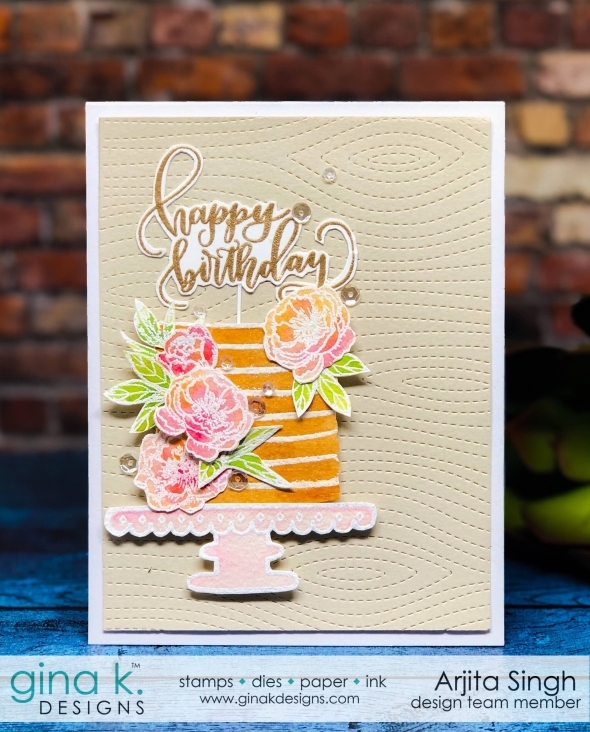 Wecome to today's blog hop which celebrates the launch of the Mega Wreath Builder Tempelate and two gorgeous stamp sets.The Wreath Builder template is a revolusionary system which enables us to create gorgeous circular formations/wreaths using any stamp set. 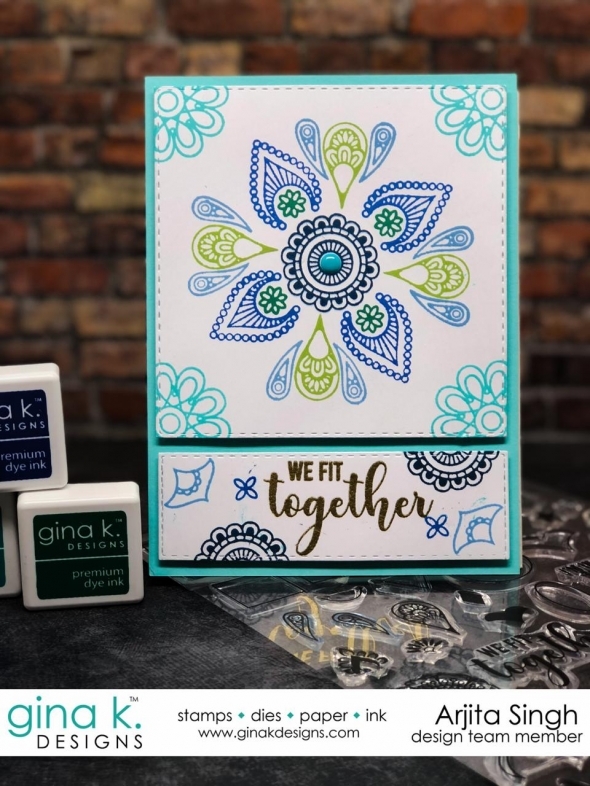 The original Wreath builder was a huge hit and now Gina K Designs has come up with MEGA WREATH BUILDER and a MINI WREATH BUILDER aswell. 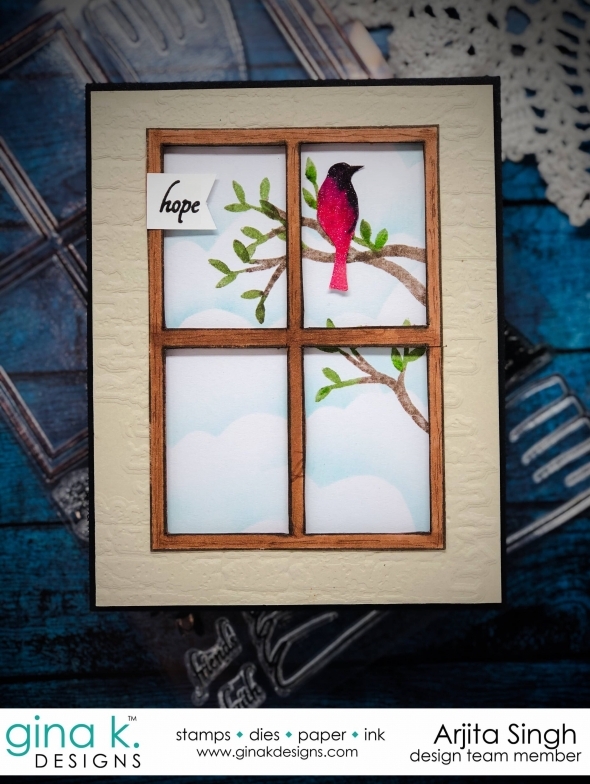 The Mega Wreath Builder Tempelate is perfect for creating beautiful Home Decor pieces. 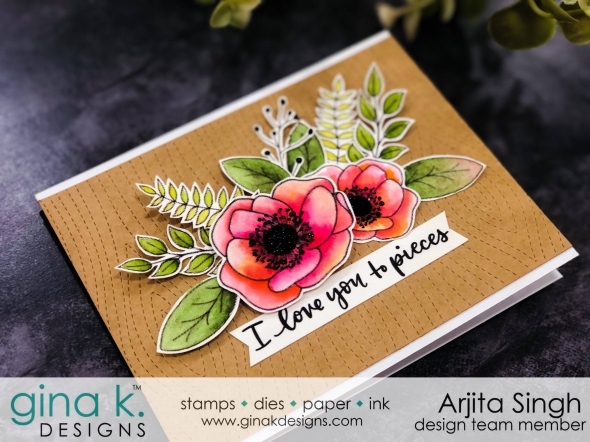 Welcome to Day 2 at Gina K Designs February 2019 Blog Hop. 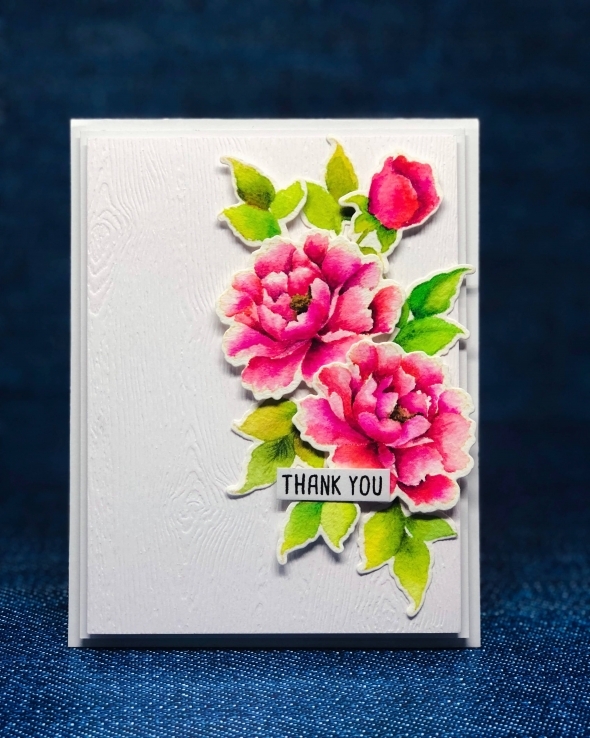 Today I am super excieted as I have used two amazing stamp sets which are a must have in your collection. 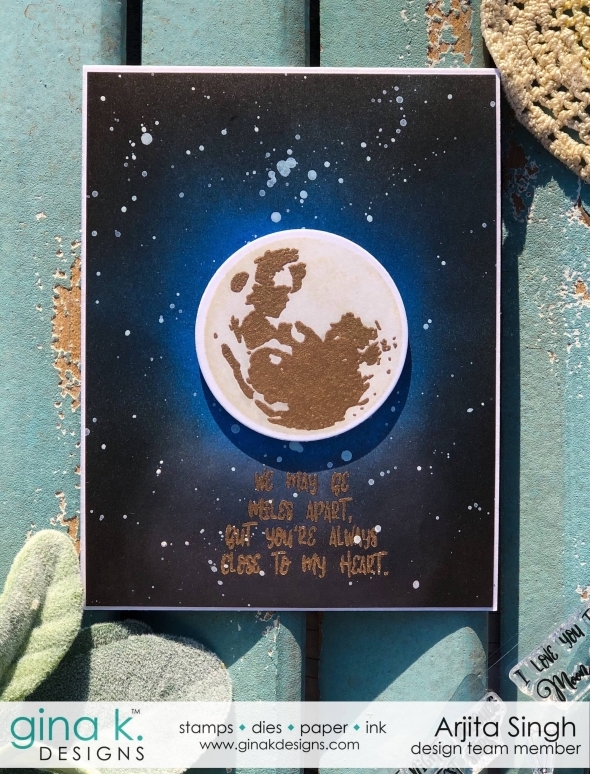 The first one is called TO THE MOON AND BACK and the second one is WONDERFUL WORLD both illustrated by the talented HANNAH. 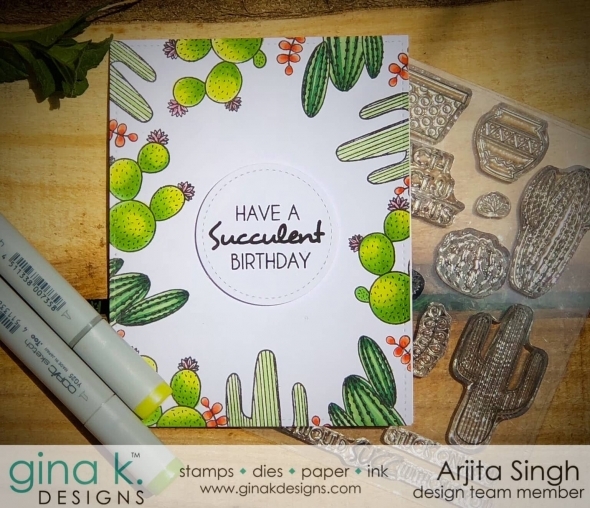 Welcome to day 2 at the Gina K Designs January release blog hop. 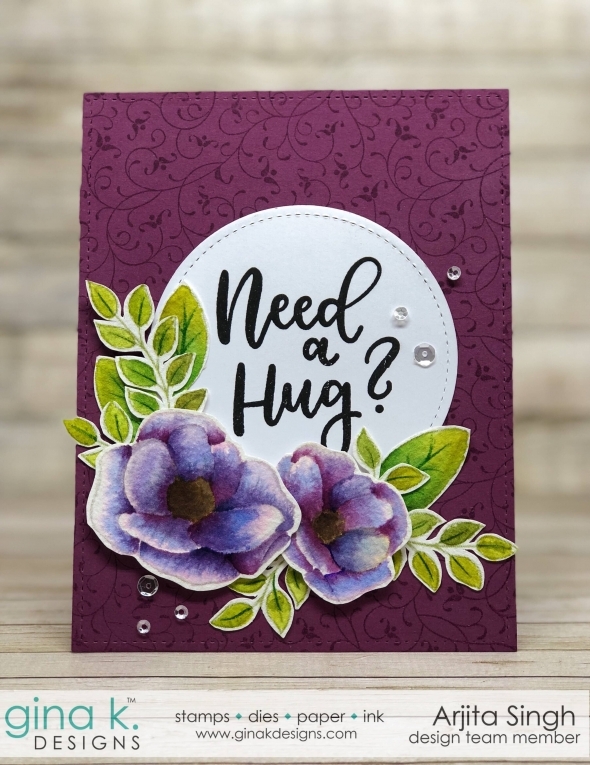 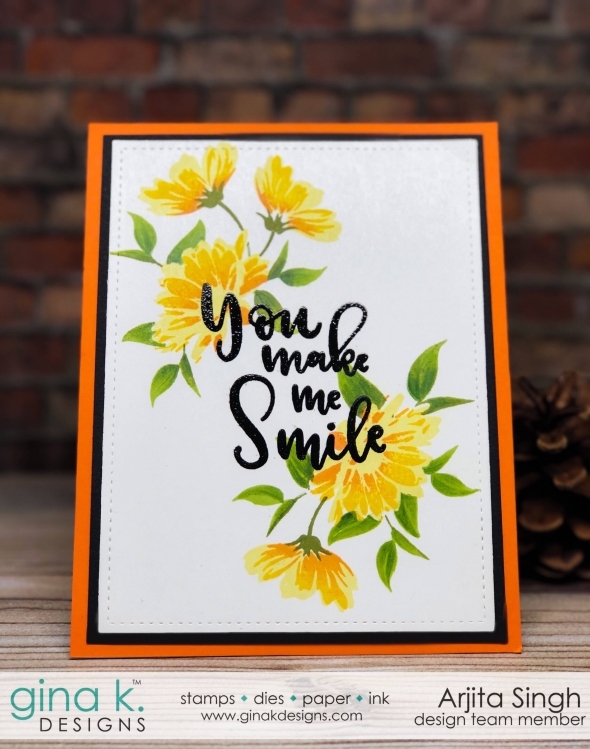 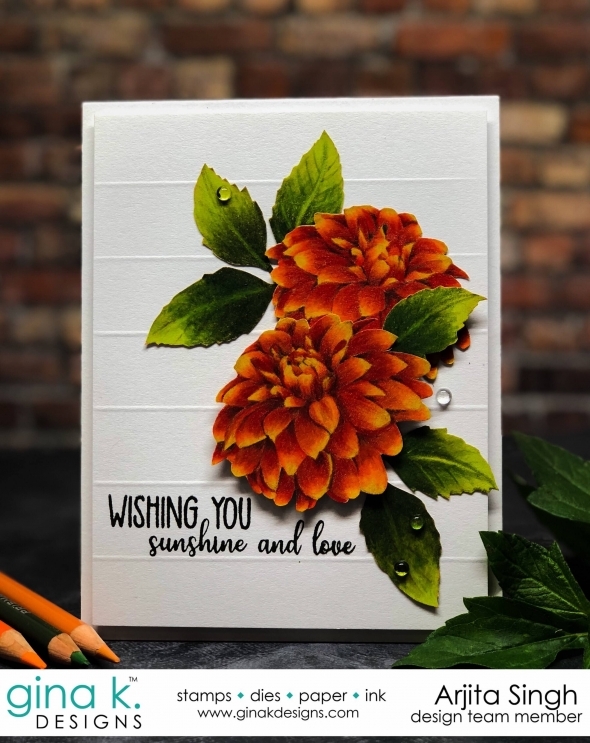 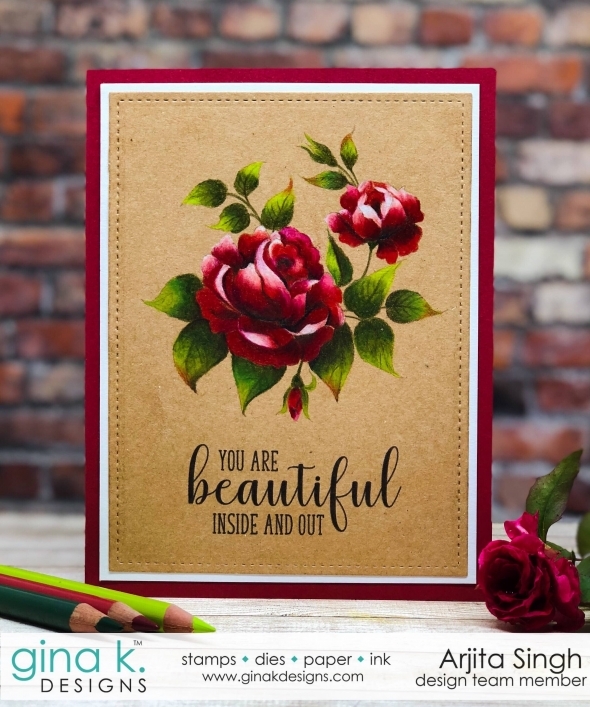 Today we will be showcasing our projects we created using LOVE IS ALL YOU NEED stamp set illustrated by Emily Loggans and ALL STAR stamp set by Beth Silaika. 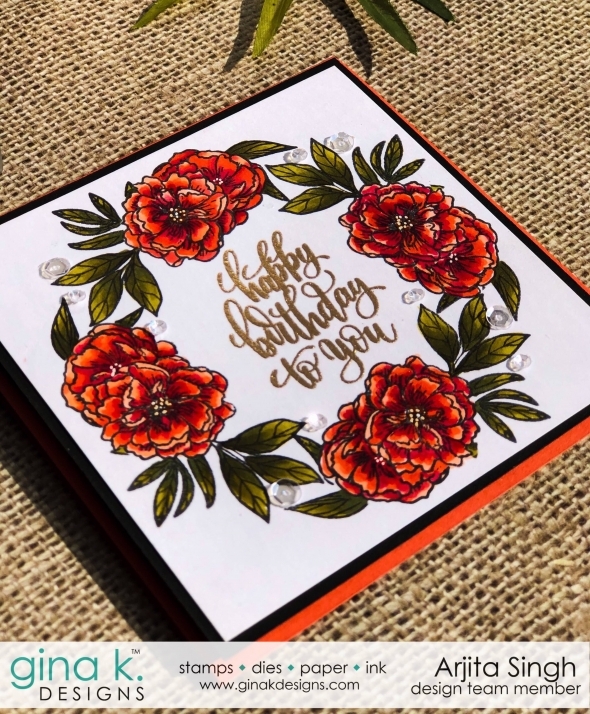 Be sure to comment on the blogs as you hop through, and Gina will pick a winner from the comments on Friday and u can get a $50 gift certificate to the store for some craft shopping. 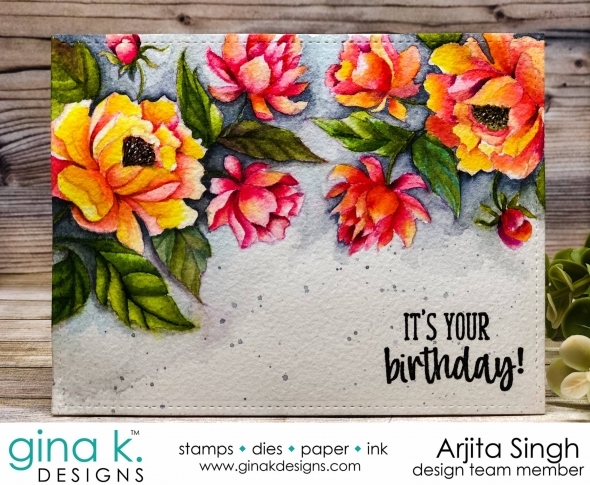 Today I have used the STATELY FLOWERS -1 stamp set by Gina K Designs. 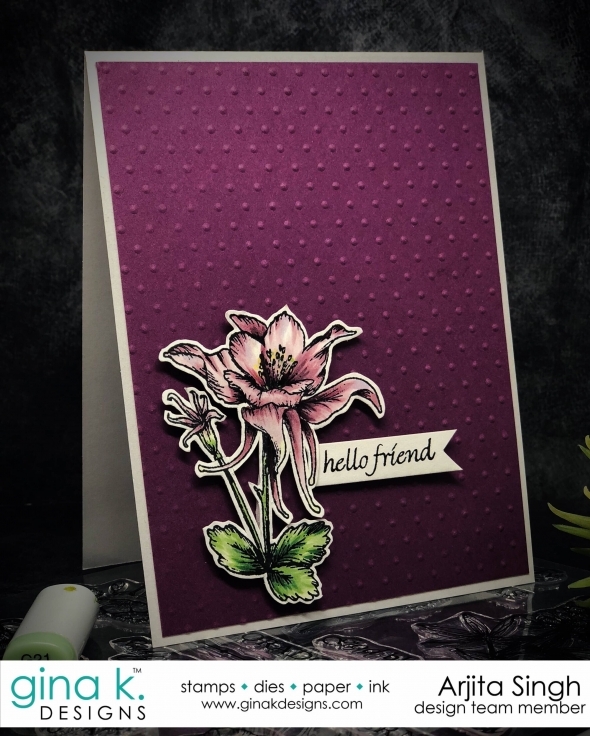 This is an old set but has some of the most gorgeous flowers perfect to colour and have fun. 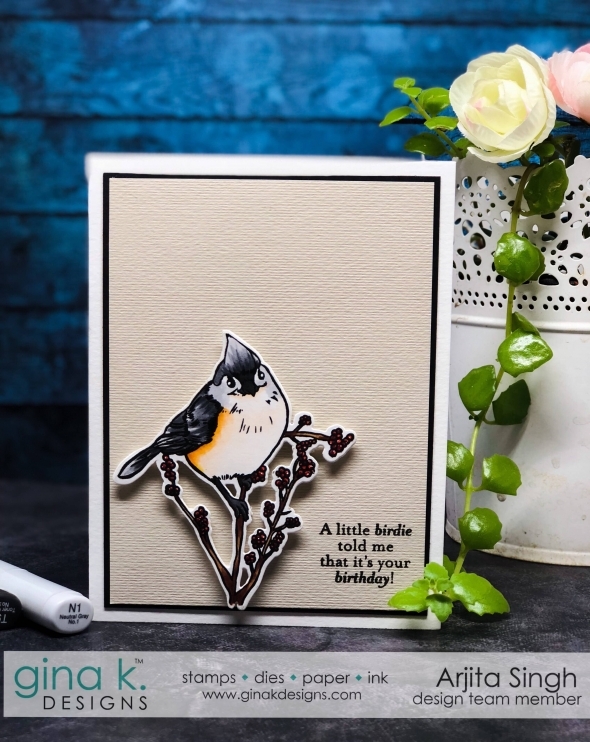 Welcome to today's blog post and I have used a beautiful stamp set called SNOW BIRDS by Gina K Designs. 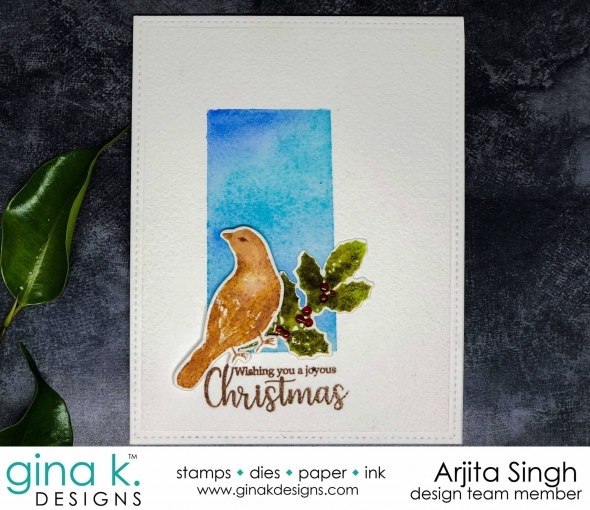 I stamped the bird on some Neenah Solar white Paper with Gina K Designs Amalgum Ink which is a copic friendly ink. 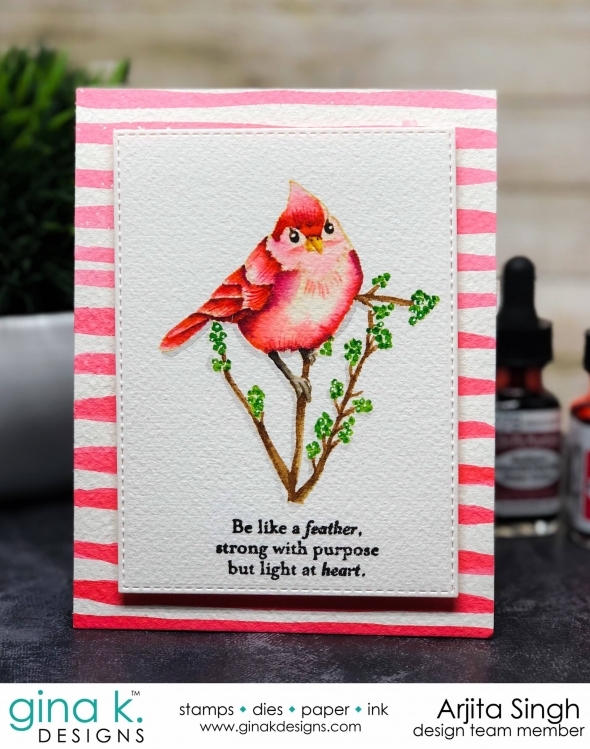 I searched the bird on google and found how it is looks in reality.This really helped me to pick the copic shades. 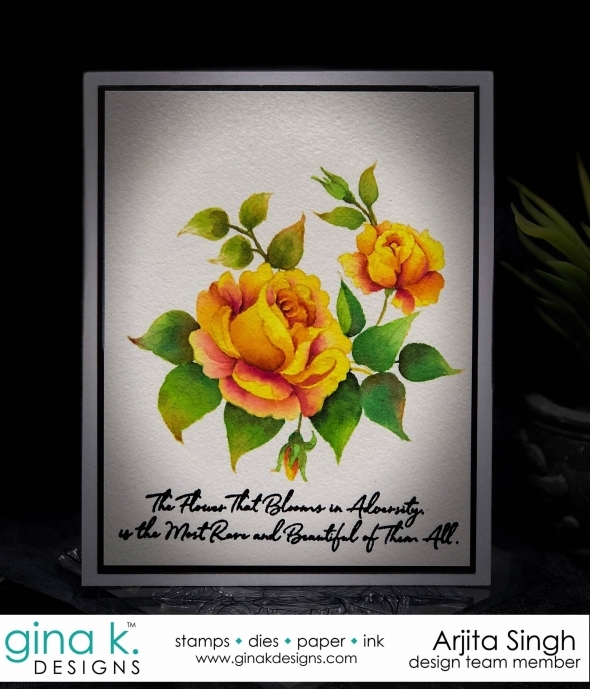 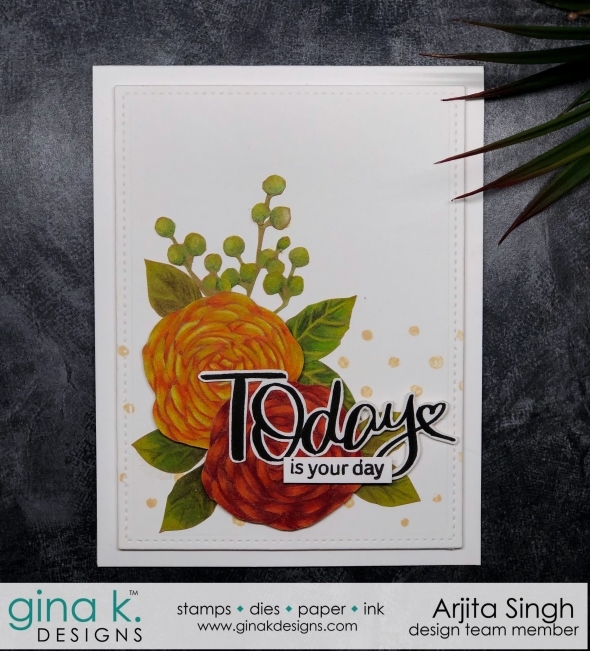 Welcome to Day 2 at the Gina K Designs November Blog Hop. 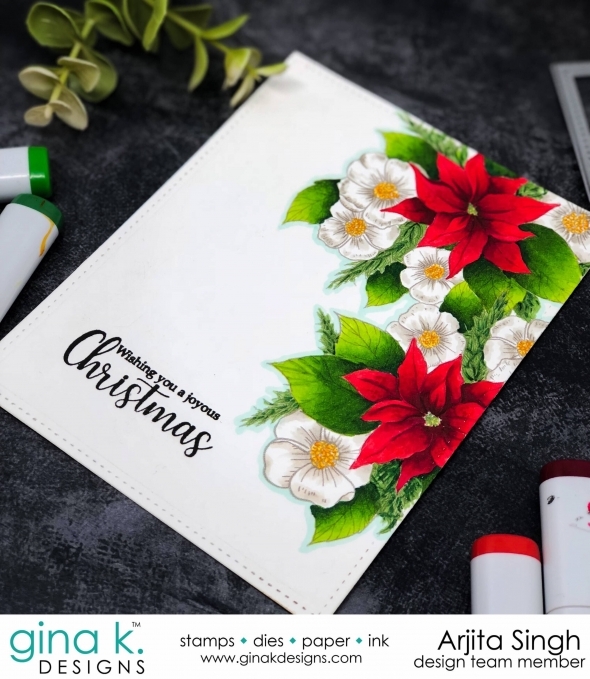 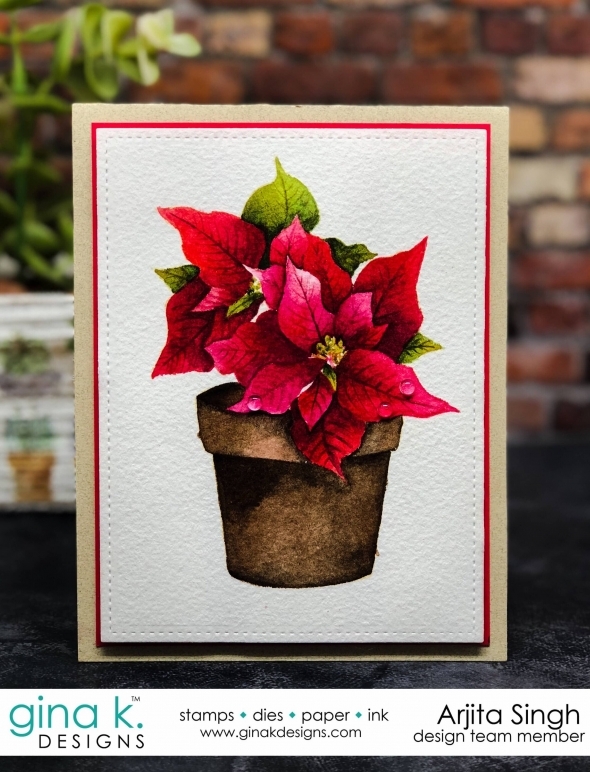 Today I have created a card using A VERY MERRY CHRISTMAS by designed by Emily Loggans which has some amazing caligraphy and its very easy to create beautiful cards in no time. 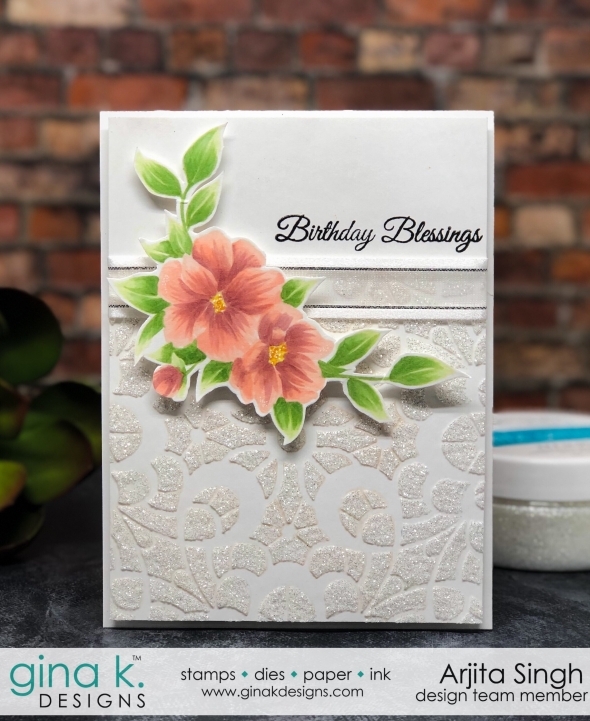 I have also used the set designed by Alicia Krupskaya called SNOWBIRDS. 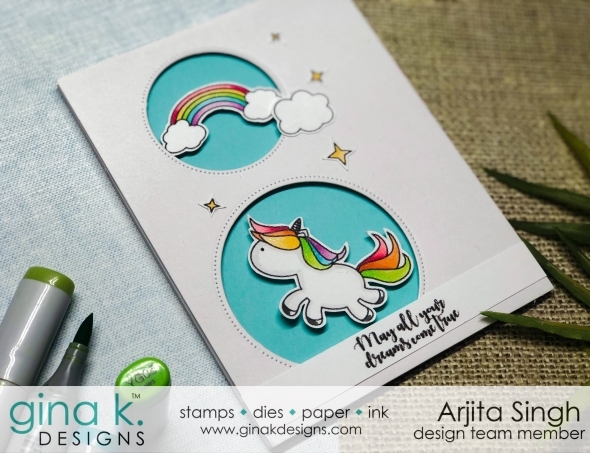 Welcome to Day 2 at the May Release Blog Hop featuring the new stamps by Gina K Designs. 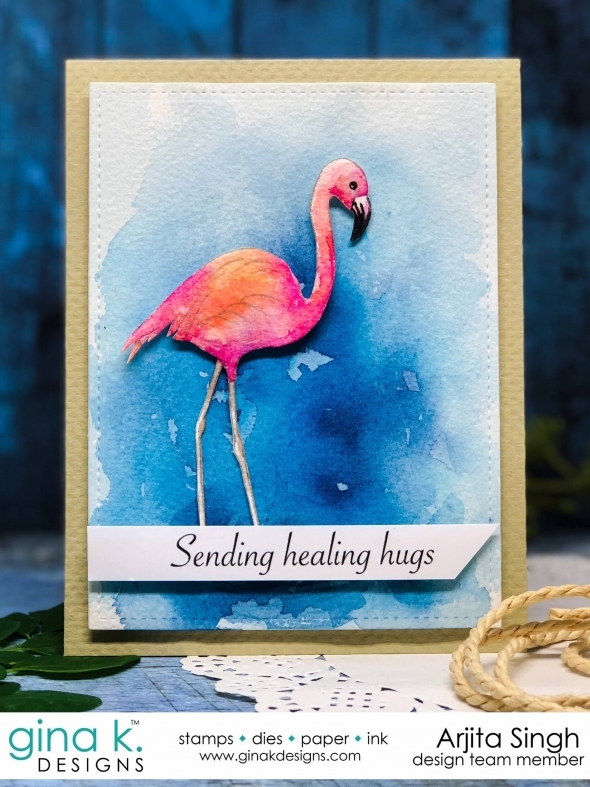 Today we will be showcasing the stamp set called SENDING YOU A LLAMA LOVE and STUCK ON YOU designed by amazing Hannah Schroepfer. 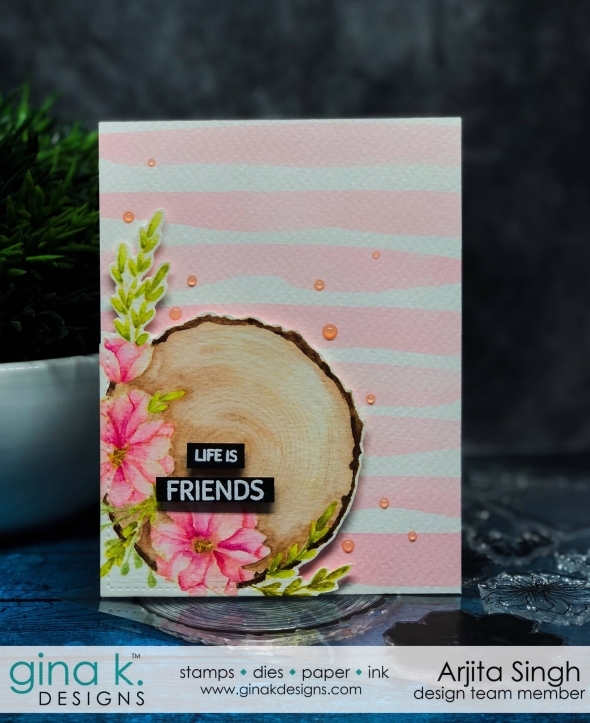 Both the stamps are super cute and fun to colour. 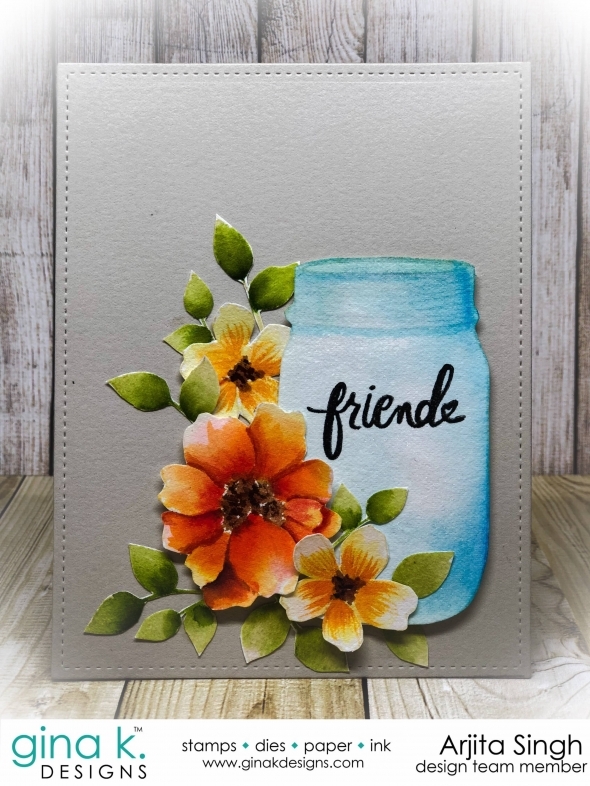 Today's card features a beautiful stamp set by Gina K Designs and is called THANK YOU FRIEND. 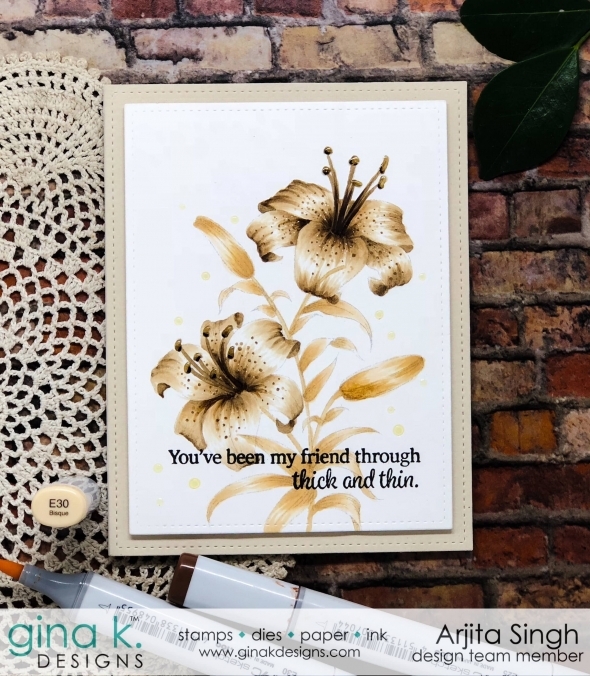 This is a bunch of beautiful Tiger Lilies and is super fun to colour.